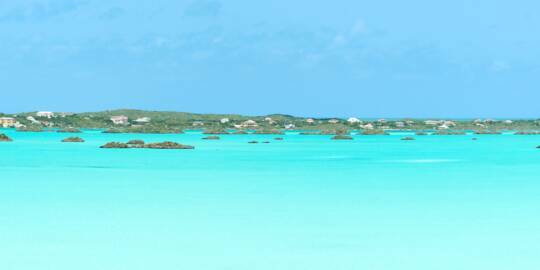 Lower Bight Road and Turtle Cove, Providenciales. Car Rentals, Taxis, and More! 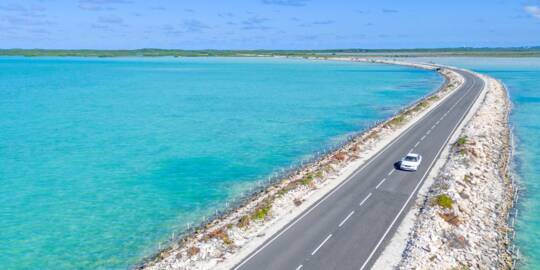 Although Providenciales is a relatively small island at 38 square miles (98 sq km), getting around can be both difficult and expensive if you don't have a car. If you’d like to explore the island or see more than what is within walking distance of your accommodation, we recommend that you rent a car for at least part of your stay. Taxis are widely available on Providenciales, yet tend to be a bit expensive. 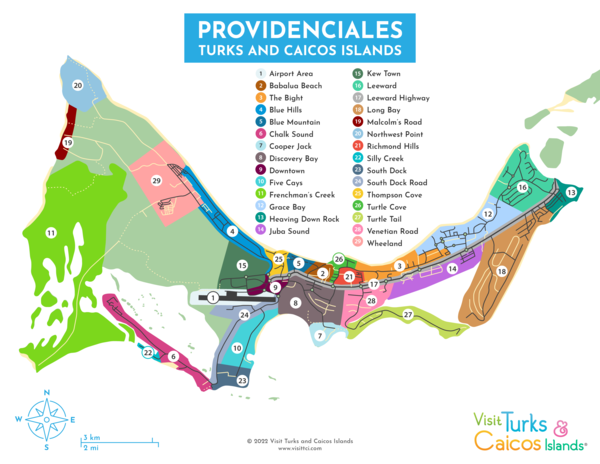 The Turks and Caicos does not have any organized public transportation. 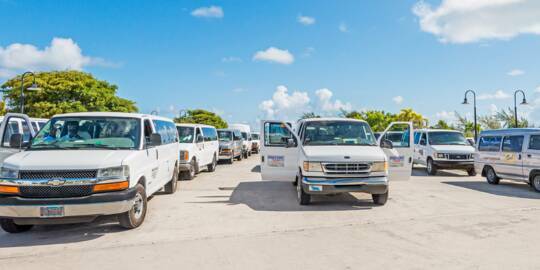 On Providenciales, illegal and unlicensed 'jitney' taxis have taken the place of bus services. We advise avoiding these completely due to their erratic and dangerous driving, and occasional overinflation of rates charged to tourists. Rental cars and jeeps are the most cost-effective method of transport. 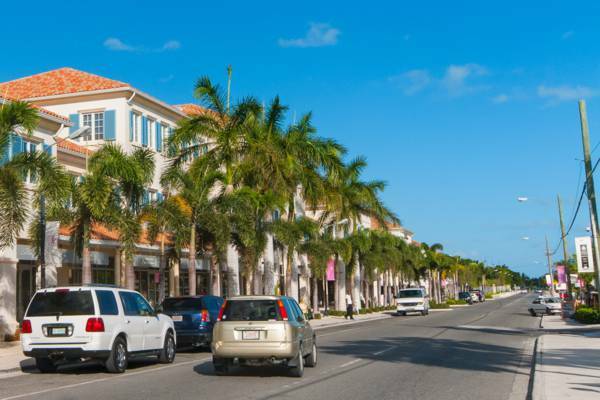 Outside of the central Grace Bay region, attractions, restaurants and shops tend to be spread out across the island, with transit distances that are typically too far for walking. As is the case in the UK and many British Commonwealth countries, we drive on the left. Roundabouts are frequently used, and there are no stoplights anywhere in the country. The speed limit is 40 MPH on highways, and 20 MPH through settlements. Nearly all of the main roads on the island are paved. If you’re unfamiliar with roundabouts and driving on the left, we strongly suggest that you look at Driving in the Turks and Caicos. Be aware that local rental agencies generally hold renters financially responsible for any damage that occurs while driving off-road. Attempting the rough roads out to the remote Northwest Point National Park, Malcolm's Road Beach and West Harbour Bluff in a low clearance car often results in vehicle damage. Local drivers can be dangerous and reckless, so you are advised to remain alert. Be prepared for cars to stop suddenly in the road or to cut in front for no apparent reason. 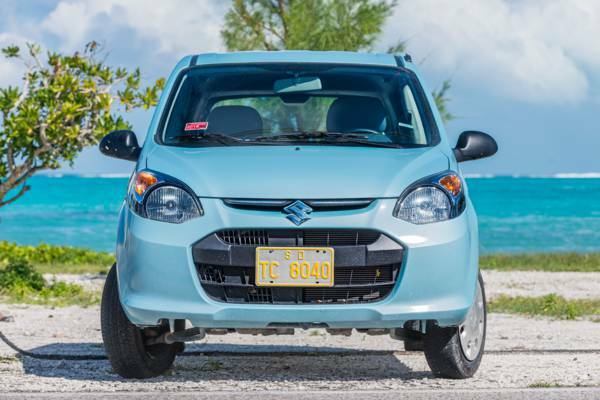 A typical economy class rental car at Blue Hills, Providenciales. 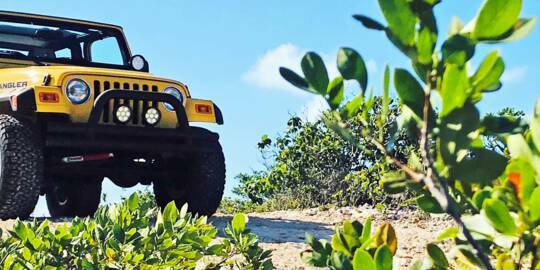 On Providenciales, we recommend renting a car, jeep or SUV instead of scooters or specialty vehicles (such as 4x4 buggies and tricycle roadsters). Reasons include cost, safety and protection from the sun. 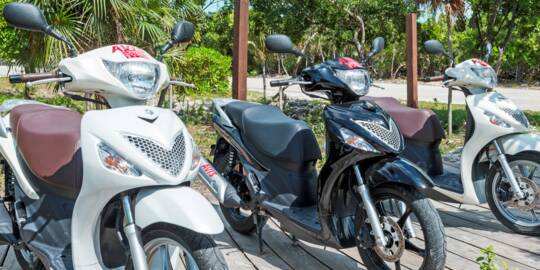 Outside of the Grace Bay and Bight regions, scooters should be driven with great caution. 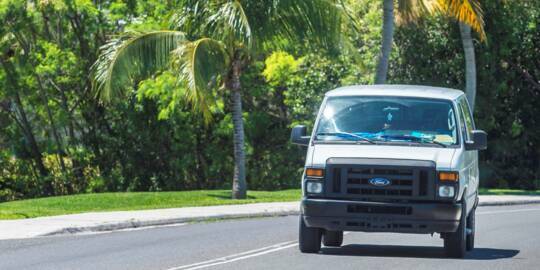 On Leeward Highway and throughout much of the island, speeding and reckless driving is very common. Note: Inspect your rental vehicle before hiring and ensure that any/all damage is recorded. Do not accept a verbal assurance that any damage present won't be attributed to you. If you notice any damage or broken features on your vehicle, ensure that these issues are recorded on your rental agreement. This especially applies to scooters and specialty vehicles. There have also been reports of mechanical issues being noticed by renters before leaving with the vehicle. After these issues were brought to the attention of employees of the rental agency, the renters were assured that they wouldn’t be held accountable. After returning the vehicle, the renters were billed for repairs. If your vehicle appears to be in poor condition or not operating properly, either ask for a replacement or use a different rental agency. 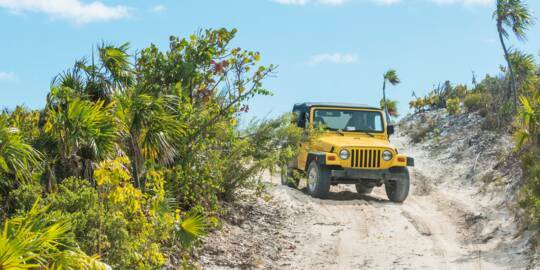 Unlike the other islands in the country, most of the rental fleets on Providenciales are relatively new and in good condition. There is no reason to rent a poor condition vehicle. 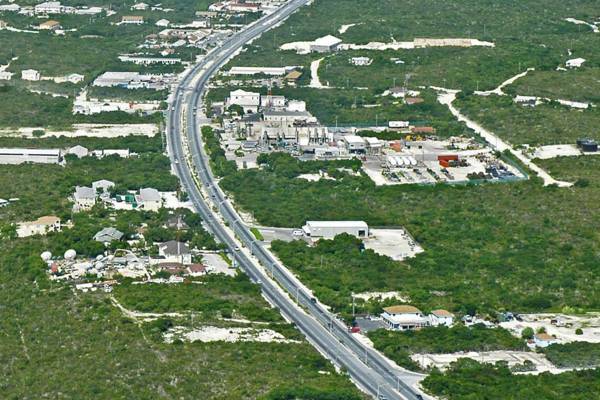 Aerial view of Leeward Highway, Providenciales. 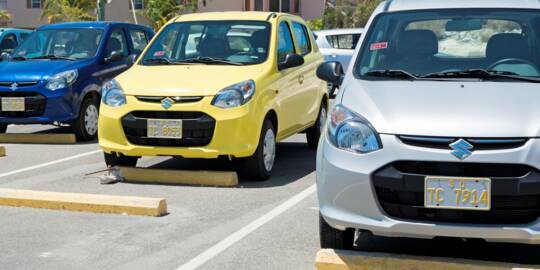 There are usually taxis waiting at the main resorts, at the Providenciales International Airport (PLS), and at the Graceway IGA on Leeward Highway. If you're not at one of these locations, you'll probably have to call for one. Most taxis are metered and there is a government fixed rate for distances, but it's a good idea to confirm the cost to your destination before beginning your journey. Be sure to confirm that the quoted rate is for your entire party, and not per person. 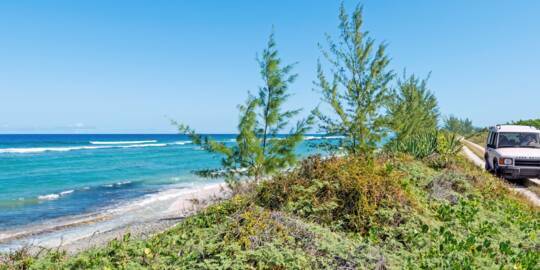 We generally don't recommend cycling outside of the Grace Bay region of Providenciales. This is due to several reasons, including reckless drivers, a lack of cycle lanes, and the intense heat and sun. Several resorts and villas offer complimentary bicycles use, and rentals are available from several businesses. More information on recommended routes, distances, and rentals can be found in our cycling section.